Yesterday, Laurent Gbagbo became the first former head of state taken into custody by the International Criminal Court since the ICC’s establishment in 2002. While ICC prosecutors have previously issued arrest warrants for heads of state, namely Sudanese President Omar al-Bashir and former Libyan Leader Moammar Qaddafi, Gbagbo’s arrival at the ICC’s detention center is a seminal moment for the ICC as it solidifies its position as an arbiter of international justice. The ICC charges that Gbagbo was an “indirect perpetrator” responsible for murder, sexual violence, persecution, and other inhuman acts that occurred in the wake of Ivory Coast’s November 2010 elections. Fighting between supporters of Gbagbo and those of his opponent, Alassane Ouattara, the winner of the elections, claimed approximately 3,000 lives, according to ICC prosecutors. Ultimately, United Nations peacekeeping forces stationed in the country, with the support of the French military, intervened, leading the way for pro-Ouattara forces to take Gbagbo into custody. Commentators and human rights advocates greeted Gbagbo’s arrival at the ICC positively, underscoring the message it sends to other heads of state. "This transfer really shows that no one is above the law, and that you can be a head of state [but] you still have to respect the human rights of your populations and you cannot engage in the type of widespread violence we've seen in Cote d'Ivoire—justice will catch up with you," said Geraldine Mattioli of Human Rights Watch. Some, however, have warned that Gbagbo’s arrest may be seen as a type of “victor’s justice,” given that crimes perpetrated by Ouattara loyalists remain unpunished. These concerns are certainly justifiable, and appropriate efforts should be made, either domestically or internationally, to investigate crimes committed by forces loyal to both Gbagbo and Ouattara. 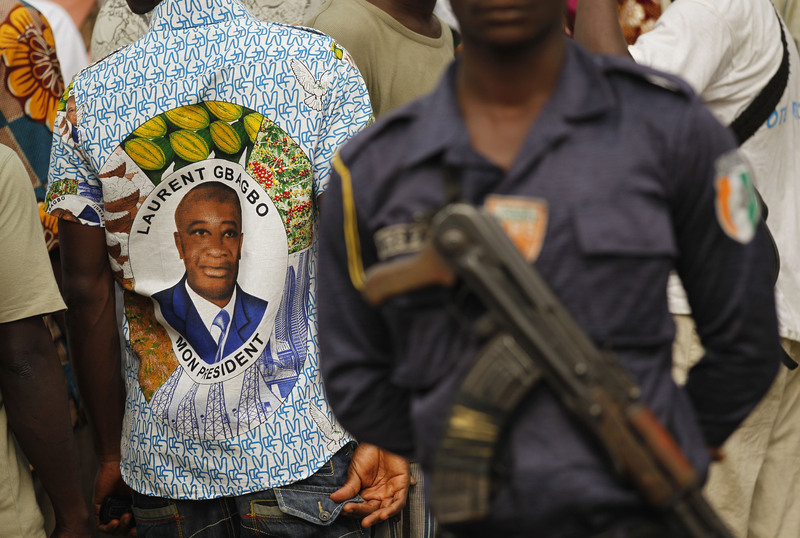 Such concerns should not, however, completely overshadow the significance of Gbagbo’s arrival at the ICC. Indeed, the combined efforts of the United Nations, with the support of France, domestic forces within the Ivory Coast, and the ICC itself led to the arrest and extradition of Gbagbo to The Hague. This combined effort stands as a reminder of what the international community is capable of accomplishing in bringing perpetrators of international crimes to justice, even those perpetrators who are current or former heads of state. The international community should take this opportunity to reevaluate its ongoing and future efforts to further the work of the ICC, in particular, through the facilitation of the arrest and extradition of individuals indicted by the ICC—top among them, Sudan’s President Bashir. A Kenya court’s recent issuance of an arrest warrant for the Sudanese leader, discussed yesterday on this blog, is one example of how individual countries may initiate domestic efforts to further the ICC’s overall effectiveness. The time has come for an ICC arrest warrant to mean more than a mere limit on the travel of President Bashir and others.